The following student-athletes have been shortlisted for the Athlete CRUSH College Impact Lead Award: Kelly Dopke, Joey Gorman, Gregory Dix, and Enna Selmanovic. The Lead Award is given to one student who has consistently displayed all the qualities of a good leader. It is someone who everyone gets along with and feels comfortable approaching. This person is considered as a leader on and off the field. A highly respected individual who everyone trusts and can turn to in times of need. In other words, they know how to push the people around them to be the best they can be. Read about our candidates below! 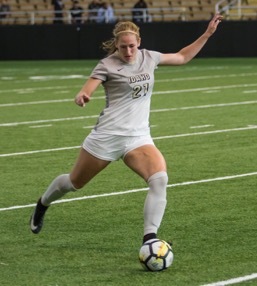 Introducing Kelly Dopke, a student-athlete for the Vandals Soccer team at the University of Idaho. Kelly is the President of the Student-Athlete Advisory Committee, boasts a 4.0 GPA in Medical Sciences, and is captain of her squad which won back-to-back championships in 2015 & 2016. Given that she is the President of the Student-Athlete Advisory Committee, she has used her position to organize events such as Idaho’s Trick or Treat in the Dome and the Christmas Toy Drive. While all of Idaho’s student-athletes make visits to local schools, Kelly mostly spends her additional time talking to her biggest fans, maximizing fan engagement within the surrounding communities. She is a role model to her fans and a leader to her peers. Taking into account all of Kelly’s extracurricular involvement and success in the classroom, it makes her an ideal candidate for our Lead Award! Second on the list is Joey Gorman who has a truly inspiring story. 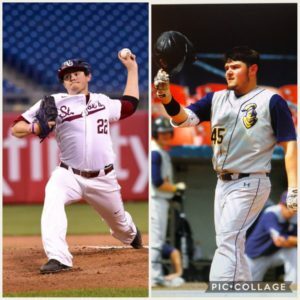 Joey is a former baseball player at Saint Joseph’s University who is currently attending Neumann University. At the age of 12, Joey discovered that he suffered from a condition called ‘Chiari Malformation’, a structural defect in the brain. It was never an issue until he felt tingling down his neck and lost feeling in his arm and leg during his freshman year. He had to undergo 4 surgeries in a 2-year span. During his recovery, his love for baseball motivated him to get back on the field. To help create awareness for Chiari Malformation, he started selling t-shirts with the phrase “Losing is not an option”. He also created a foundation that sends all proceeds from the t-shirt sales to help with researching the disease. His story and determination make him a strong candidate for the Lead Award! The third nominee is Gregory Dix. Gregory is a student-athlete on the Men’s Track and Field team at La Salle University. He took the lead in putting together the event, “Pong for Puerto Rico” which fundraised money and water to send to Puerto Rico after the hurricane in September. He was a runner-up in the Deepher Dude fundraiser for the Cystic Fibrosis Foundation, that raised over $13,000 to help a bunch of communities. He’s also involved in various Project Teamwork initiatives such as Day of Service, Junior Achievement of Southeastern Pennsylvania, Trick or Treating, and the La Salle Peace Room Project at Logan Elementary School. 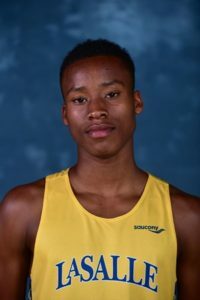 Apart from this extensive list of charities that he has been involved with, he also took the lead in fundraising for Bringing Hope Home for the Men’s Track and Field team. His relentless dedication and passion for helping others makes him one of the strongest candidates for the Lead award! Finally, let’s meet Enna Selmanovic. Enna is a former student-athlete on the Women’s Swimming & Diving team at the University of Cincinnati. She was one of the most talented student-athletes at her school, but suffered a devastating career-ending injury that led to her being medically disqualified from competition. Despite this setback, she was determined to make a difference in the lives of all student-athletes. She went on to become the American Athletic Conference representative within the Division I SAAC. 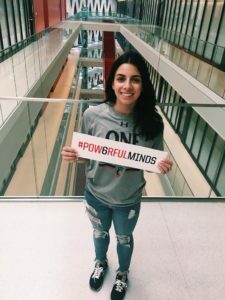 Her passion resulted in her spearheading an initiative to bring awareness to the mental health of student-athletes within her school. The initiative is now in progress of becoming an NCAA initiative due to it’s success. The program plays an indispensable role for a large number of student-athletes, who suffer from career-threatening injuries. Her work makes her a great candidate for the Lead Award! Make sure to sign up for our newsletter, to be in the loop about all things Athlete CRUSH, and to stay updated about the College Impact Awards! We guarantee, no spam!